Losing hair from your eyebrows is definitely rare but not impossible. The regular plucking of eyebrows that women go through, during their entire lifetime, does take a toll on their eyebrow hair at some point of time in life. There may be various other factors such as eczema, psoriasis, hereditary hair loss, aging, medications and auto-immune disorders that may be responsible for such eyebrow hair loss. Not having thick and well-shaped eyebrows can start affecting your appearance, which is not something you will enjoy. However, there is a way to solve this issue forever in a safe and effective way – Eyebrow Transplant. FUE or Follicular Unit Transplant is what eyebrow transplant procedure entails in order to extract the healthy hair follicles from the back of your head, one by one, and transplant them onto your eyebrows, achieving the desired density and shape. There is no pain or discomfort involved as this procedure as the local anaesthesia takes care of it. Also, you don’t have to worry about any kind of side effects or complications as eyebrow transplant is a very safe procedure. The experts we refer you to have sophisticated equipment and expert hands to handle the procedure efficiently. There may however be rare exceptional cases where some minor complications can develop, but you can get all your questions answered by the qualified renowned surgeons. Before the extraction of the hair follicles from the donor area, the hair at the back of your head is trimmed to about 1mm in length. A local anaesthetic is applied to reduce discomfort during extraction. A precision tool is used to extract hair follicles one by one, gently separating them from your scalp by creating a circular incision around the hair. The recipient area, which is your brow area, is prepared with the application of a local anaesthetic and creation of tiny incisions. The grafts are then inserted into these incisions one by one, taking special care to follow the direction and positioning of the existing hair, so as to achieve absolutely natural results. The duration of this procedure can be between two to four hours, based on the number of grafts required and the desired density and shape. 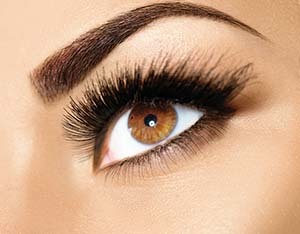 You may come across some amount of hair fall from your eyebrows, about two or three weeks after the procedure. This is quite normal. However, in about three or four months’ time you should start seeing fresh hair growing out of the transplanted hair follicles. The complete results will be evident in about a year and a half. By this time, you can expect lush and thick eyebrows, growing in an excellent shape. Regular trimming might become necessary after this. There are no patient stories for Eyebrow Restoration procedure.